Office Organization: Is Your Desk a Distraction? What do you do when you realize that the space you are expected to be the most productive is actually distracting you from getting work done? Whether at a desk at home or a cubicle at the office, an organized work space can make a huge impact on how quickly you accomplish your to do list! Instead of a distracting desk create an efficient work station with these three simple techniques. Don’t use Paper as your Reminder. A lot of times, people use paper to help them remember to do something. Instead, create a calendar based to-do list and then either file or discard the paper. This way you are not distracted by the pile on your desk and can think about the task at hand instead of everything on your to do list. Hide the Electronics. The Wall Street Journal reports that workers are interrupted once every 3 minutes, either electronically or by others. And once distracted it takes 23 minutes for a worker to return to an original task. The solution, hide the electronics for a dedicated period of time. Let others know that you will be offline and give yourself time to get work done. And for those with small children try to incorporate this time into a daily nap/quiet time or even after bedtime. Filing is fun! Filing is another way to remove the distraction of an ominous paper pile. 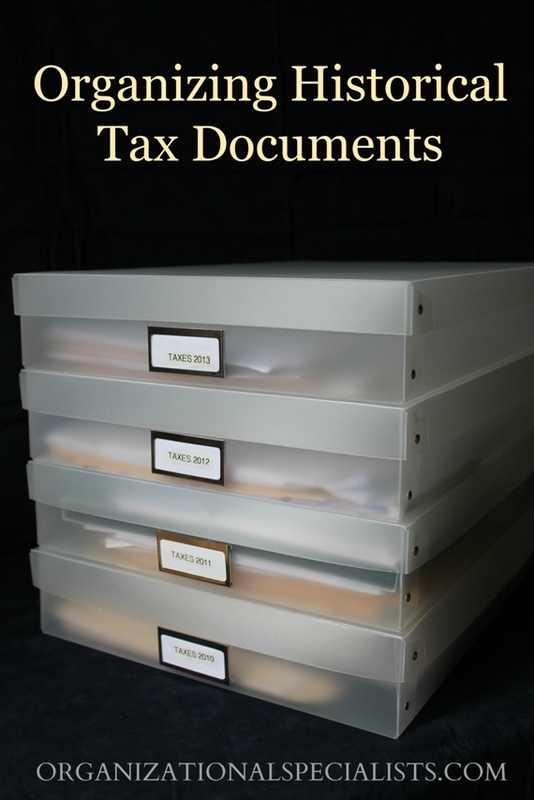 Done appropriately, a filing system can be a huge benefit to any home or office. Using a categorical color-coded system makes information retrieval and storage easy; you can finally say goodbye to the pile and remove the distraction of looking for lost documents! These are just a few suggestions on how to create a distraction free space, for more on office organization check out my organizing tips in Strategy Magazine. I love comments so please let me know your solutions for a distraction free desk! This entry was posted in Organizing: Space, Work and tagged office, organizing on March 31, 2014 by Organizational Specialist. 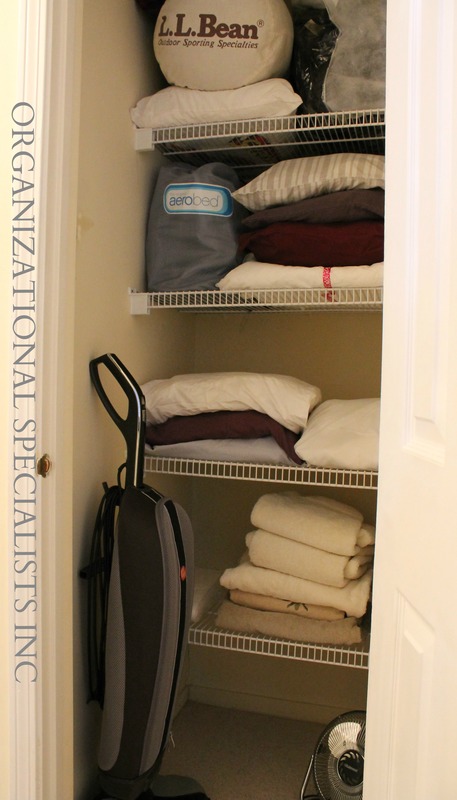 This entry was posted in Closets, Home, Organizing: Space and tagged linen closets, linens, organizing, storage on March 3, 2014 by Organizational Specialist.